Candidates applying for Manager & District Facilitator Jobs mjst not exceed the upper age of 45 years as reckoned on 01-09-2018. 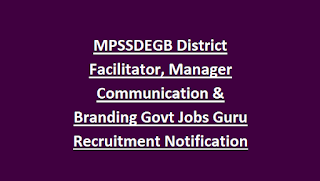 District Facilitator: Have secured MBA/PGDBM/PGDM degree from a recognized University/Institute. 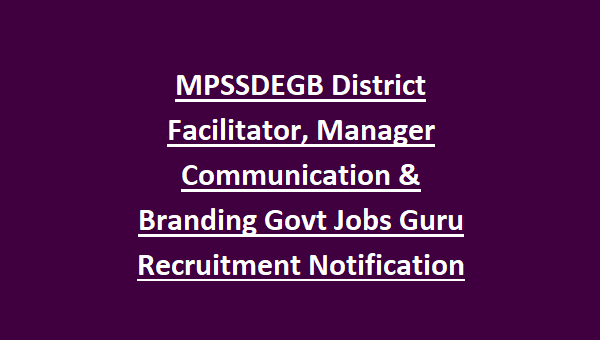 Manager Communication & Branding: Have passed MA in Mass Communication/PGDM in Mass Communication. Candidates standing eligible as per the educational standards will be acceptable for available vacancies and as per the merit obtained in the Academic Qualifications provisional merit-list will be prepared. Work-Experience will add extra marks depending upon the years of past experience. Candidates listed in the provisional merit list will be called for Interview which carries 35 Marks.